Above Prime Black Angus Steaks, Roasts & Burger Delivered Directly to Your Door. Snow Creek Ranch Beef Champions are a team of beef lovers who have come together to support our small, independent family ranch, empowering us to produce the most tender and flavorful Steaks, Roasts, Specialty Cuts and Burger around. Once a month, make an automatic deposit into your account to build up your Beef Balance. Call or email your order to 844-34-ANGUS X 503 and we’ll we’ll deliver mouth-watering, free-range, gourmet beef directly to your door! 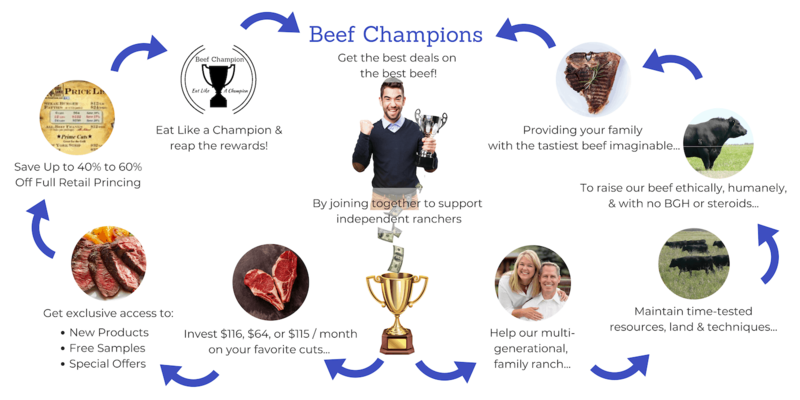 When you sign on to be a Champion, you get year-round access to our mouth-watering beef at the same great prices we offer at farmers markets, plus awesome insider deals, and first crack at special cuts, and insider-only packages. Get Started Today & Take $100 Off Your Introductory Package! Download your application or call 844-34-ANGUS (844-342-6487) extension 503 today to become a Beef Champion, and for a limited time, you’ll receive $100 off your first package – the Grillmeister’s Choice! It’s perfect for family get-togethers, a backyard barbecue, or even just treating yourself! Includes two of our signature Ribeyes, two mouth watering New York Strips, six pounds of burger, and 18 of our world-famous 1/3LB Steak Burger Patties, the Grillmeister’s Choice will make you the most popular guy (or gal) at the grill! 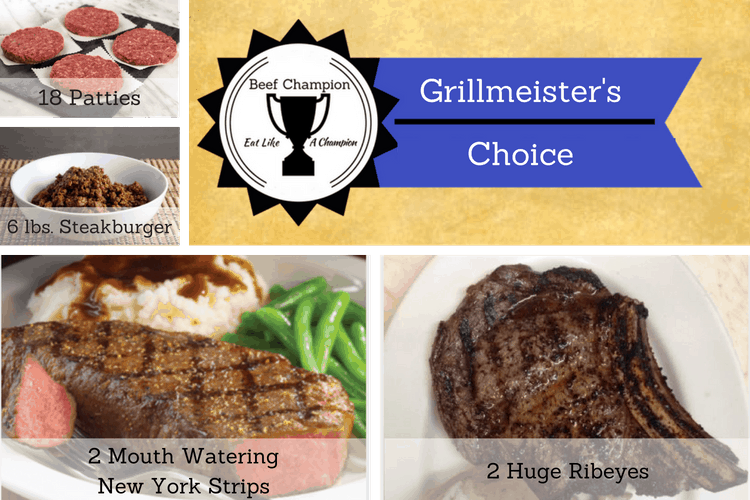 Reserve Your Grillmeisters’ Choice Now! Complete your application — We need a couple of details to get you on the waiting list. Make a deposit — Once a month, make an automatic deposit of $116, $64, or $48 & build up your balance. Get Beef! As often as you’d like, withdraw beef against your balance. We’ll deliver it directly to your door. *When you sign up for your Beef Champion Introductory Package, you commit to a 3-month subscription at your sign up price. Why Become a Beef Champion? 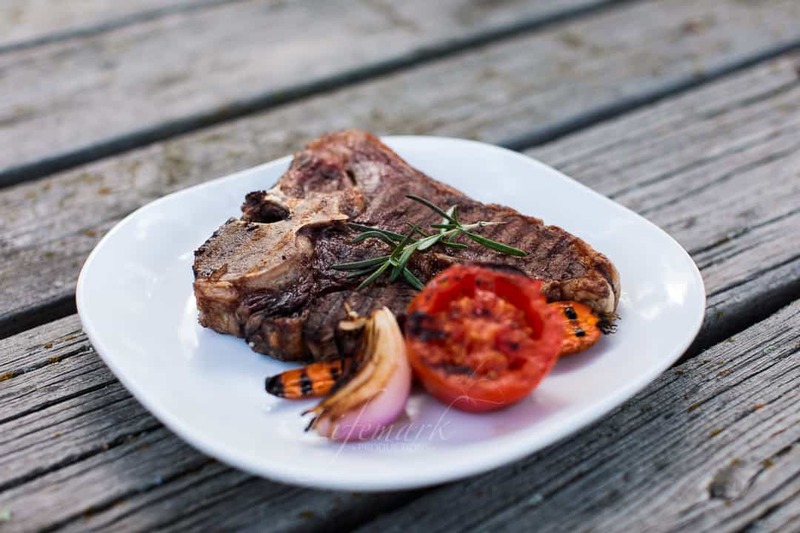 Our customers get the best deals and the best beef by crowd-funding the independent, Snow Creek Ranch Steaks. When you become a Beef Champion, you’re directly supporting an independent, family-owned, local ranch, and basically cutting out the middleman. In return, you get access to great deals and insider pricing, first crack at new products, and free samples. Plus, you’re guaranteeing that the beef you put on your family’s table is fresh, ethically raised, and brought to market humanely, and without hormones, steroids or unnecessary antibiotics. Thanks to our Champions, we get to focus our time, passion and money on producing the best beef available – the beef of our dreams! We don’t need to waste our time or money on sales and marketing. That frees us up to offer you better deals. Everybody wins! What’s so special about our beef? Snow Creek Ranch Beef is hand crafted from day one to meet the highest possible standards for juiciness, tenderness, marbling and flavor. We don’t use any unnecessary hormones, steroids, or antibiotics when we raise our cows, and our beef is minimally processed. For 18 months, our cows are free to graze, enjoying wide open skies, the companionship of the herd, and native prairie grasses. For the last 45 days or so before harvest, we switch to a top-secret diet, specially formulated by our own rancher and founder, Doc Haag, to produce bountiful marbling and healthy fats.